The Nigerian energetic and versatile artiste, Ogunshola Isaac Oluwatimileyin, professionally known as “RapSouz Dha Phobia” is a dynamic song writer, entertainer and a performer. Rap Soup grew up in Egbatedo, an enclosed ghetto area in Osogbo, Osun State Capital and in the heart of southwestern part of this country. At a tender age of 8, Rap Souz sings in his Residental Church (Celestial Church of Christ) and however managed to record his first official single in the year 2010, Titled “Motty Gba”; this created an effective recognition for him In the face Of African Entertainment and it’s Industry. 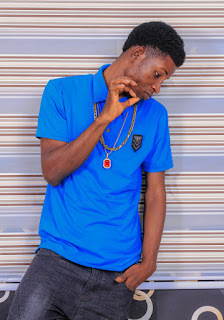 RapSouz, as he is fondly called by family, friends and fans could basically be referred to as an Ambitious and Creative Young Man who is determined to re-brand Genres of Afro-pop, Hip Hop, Rap and Dance hall. Rap Souz, a lover of musical instruments and of which had displayed his talents in top notch events such as Rap Battle King Of Naija (rated among the top 3 at the grand finale), Crown Lovers Osun Ankara Night among others. Meanwhile, this multi-talented singer is presently not signed with any Record Label. In Nutshell, watch out for great hits back to back as he is Coming out strong in the Entertainment Industry of the Black Race.